To go solar is to convert a house so that it will collect solar energy through the use of solar energy panels (or some kind of equivalent). It does not imply powering a house by electrical power alone, but suggests a great effort to maximize the percentage of power drawn from solar energy. The most reliable use of this energy is often to heat water. Example: The White House, under President Obama, recently announced that it would place solar energy panels on the roof of the White House for the purpose of solar energy collection. 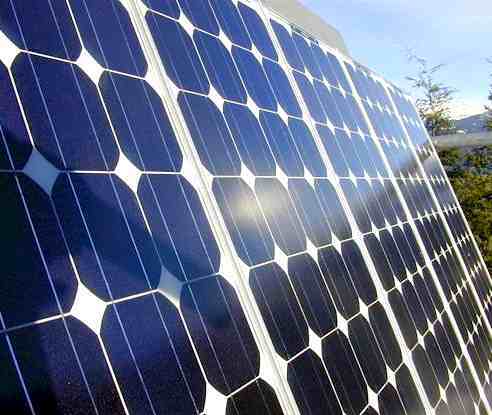 Major media outlets widely reported that the White House was going solar, with the same meaning. Note that this is not the first time the White House has been the site of solar panels; President Jimmy Carter was the first to do so. Solar panels were also used by President Bush (Sr.) for heating water in a limited capacity. Other recent presidents have shunned the appearance of transforming a national monument into an experiment.